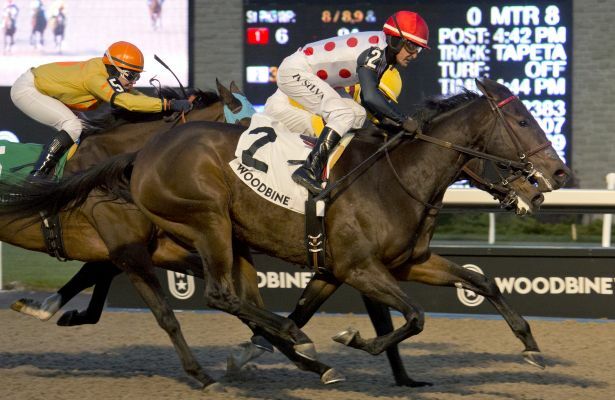 Hall of Fame trainer Mark Casse continued his dominance in the Glorious Song Stakes, after Souper Charlotte took Sunday’s $100,000 feature at Woodbine Racetrack. There’s something about the Glorious Song that brings out the best in one of racing’s most accomplished conditioners. 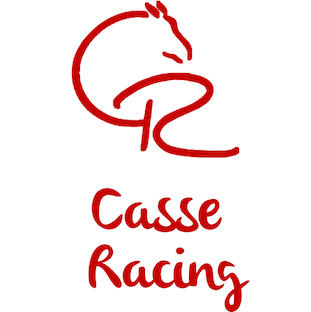 After today’s triumph, Casse has now won eight runnings overall, five of the past six and three straight editions, including in 2017 with Win the War. Today, it was Souper Charlotte’s turn to deliver the crown. Sent off as the 3-5 favorite in the field of five juvenile fillies, Souper Charlotte sat fourth as fellow Casse trainee Devious Charm took the lead early in the tightly-bunched group, as Si Si Tequila, another Casse starter, and Above All Names watched intently from second and third, respectively, through an opening quarter-mile in 23.83. It was status quo after the half-mile mark was reached in :47.30, as jockey Eurico Rosa da Silva, aboard Souper Charlotte, bided his time and waited for the opportunity to launch an outside bid. As the field turned for home after three-quarters carved out in 1:11.28, da Silva finally had the room he was looking for and set his sights on the leaders. With Devious Charm giving way, Si Si Tequila and Above All Names dueled intently, while Souper Charlotte gained ground with every step. At the wire, Souper Charlotte eked out a neck victory, with Si Si Tequila besting Above All Names by a half-length for runner-up spot. The final time for seven furlongs on the Tapeta was 1:23.60. The dark bay Kentucky-bred daughter of Warrior’s Reward, owned by Live Oak Plantation, now has two wins in as many starts. She broke her maiden in her debut, also contested at Woodbine, a gate-to-wire victory at six furlongs on Oct. 7. Casse and Live Oak Plantation teamed up to win the 2016 Glorious Song with Let It Ride Mom. It was also a weekend stakes sweep for the conditioner and da Silva, the Toronto oval’s leading rider who ended the 12-race card with five wins. On Saturday, She’s the Berries delivered the duo a win in the La Prevoyante Stakes. Souper Charlotte paid $3.40, $2.20 and $2.10, combining with Si Si Tequila ($2.60, $2.30) for a $6.30 (2-4) exactor. A 2-4-5 triactor (Above All Names, $3.20 to show) was worth $22.70, while a $1 superfecta [2-4-5-1 (Dancing Doll)] came back $20.70. Earlier on the Sunday program in the fourth race, apprentice jockey Hannah Twomey celebrated her first career win aboard 13-1 shot Show Me the Prize. The three-year-old Exhi filly swept to the lead with a furlong to go and broke her maiden going 1-1/16 miles in 1:46.71 for trainer Ross Armata and owner Arthur Amos. Twomey earned her first win in just her 11th start after hitting the board in three previous races.